Modbus/TCP, Modbus RTU, BACnet/IP (BBMD), BACnet MS/TP, EtherNet/IP (CIP), PROFINET IO, Metasys N2, Siemens FLN, Generic Serial, M-Bus, DMX-512, Mitsubishi MELSEC (SLMP), Toshiba, Sullair, TCS Basys, AO Smith, MSA Chillgard, and more. 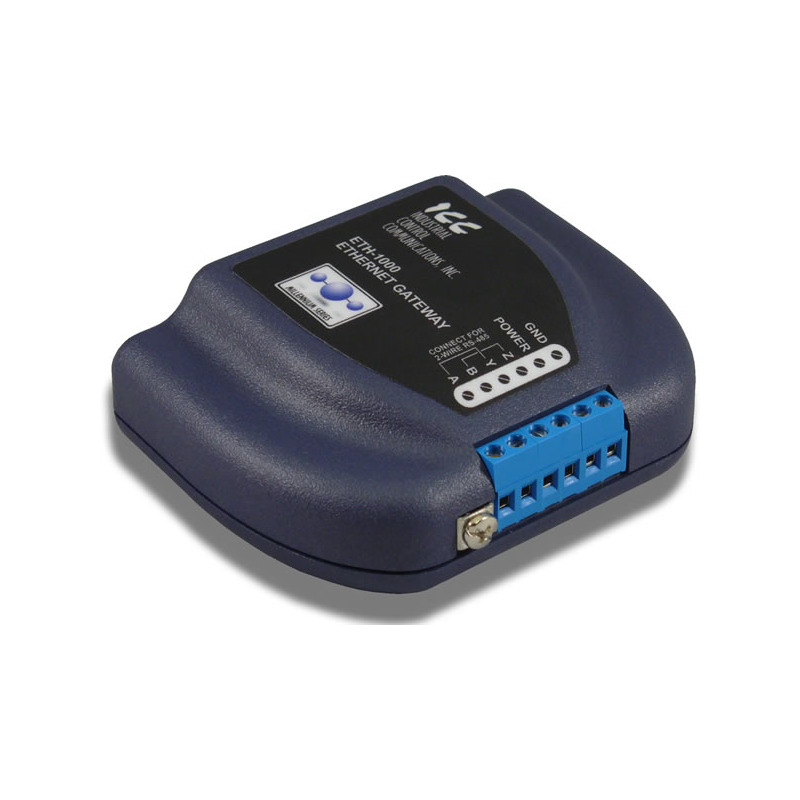 Supports both Ethernet to Ethernet and Ethernet to RS-485 conversion. The ETH-1000 Ethernet Gateway allows information to be transferred seamlessly between Ethernet and RS-485 networks with minimal configuration requirements. The ETH-1000 can behave as both an Ethernet to Ethernet protocol converter and an Ethernet to RS-485 converter to allow a transparent exchange of data and create a bridge between otherwise incompatible networks. 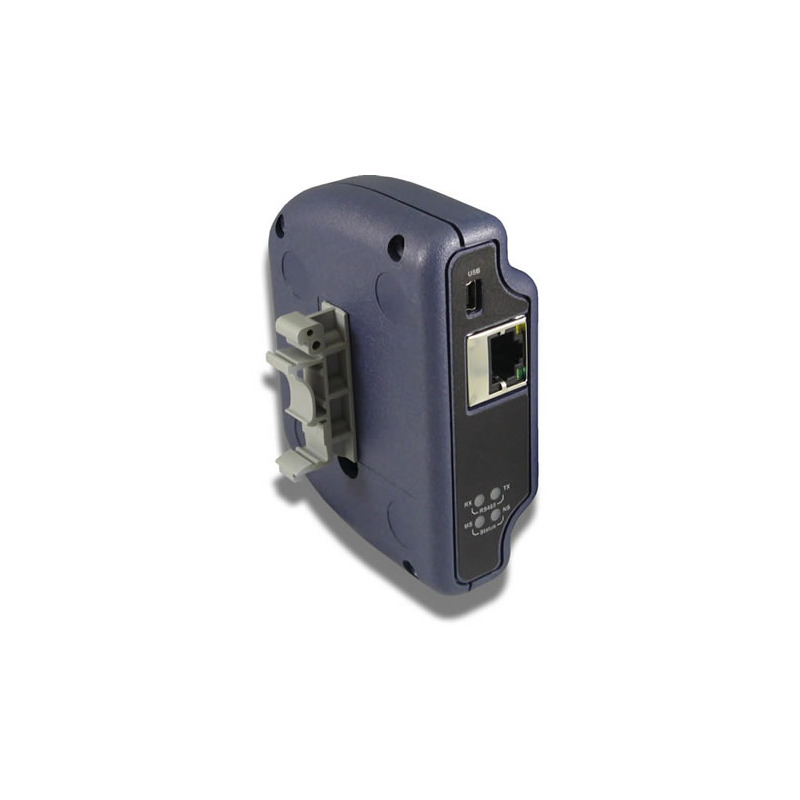 The ETH-1000 provides an IEEE 802.3 10BASE-T/100BASE-TX Ethernet port and an RS-485 port (4-wire terminal block style). 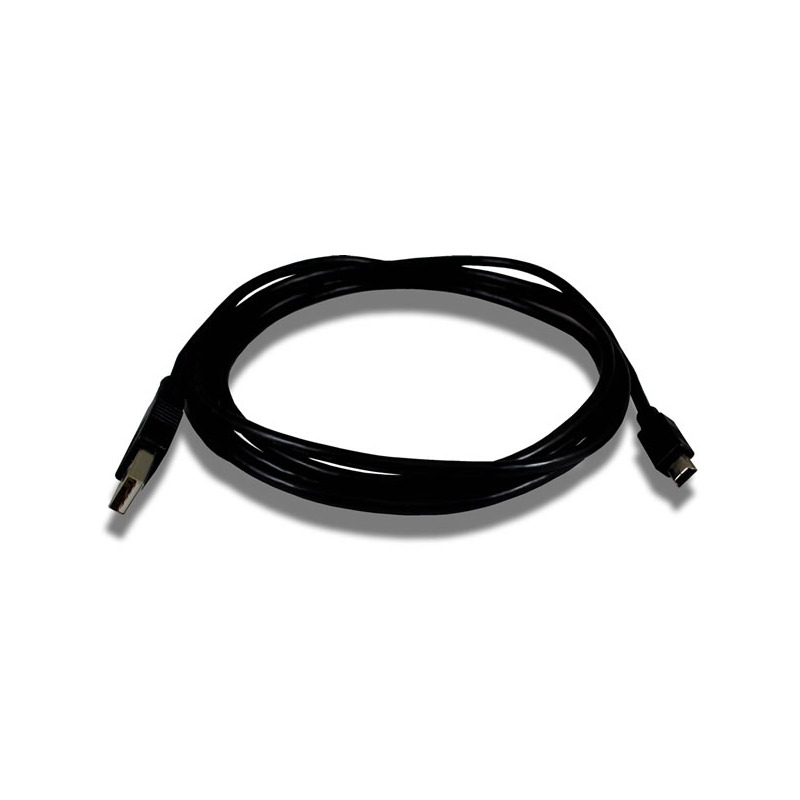 The Ethernet port accepts standard CAT5-type 8-conductor unshielded twisted-pair (UTP) patch cables and supports multiple protocols simultaneously. The RS-485 port supports multiple serial and fieldbus protocols. 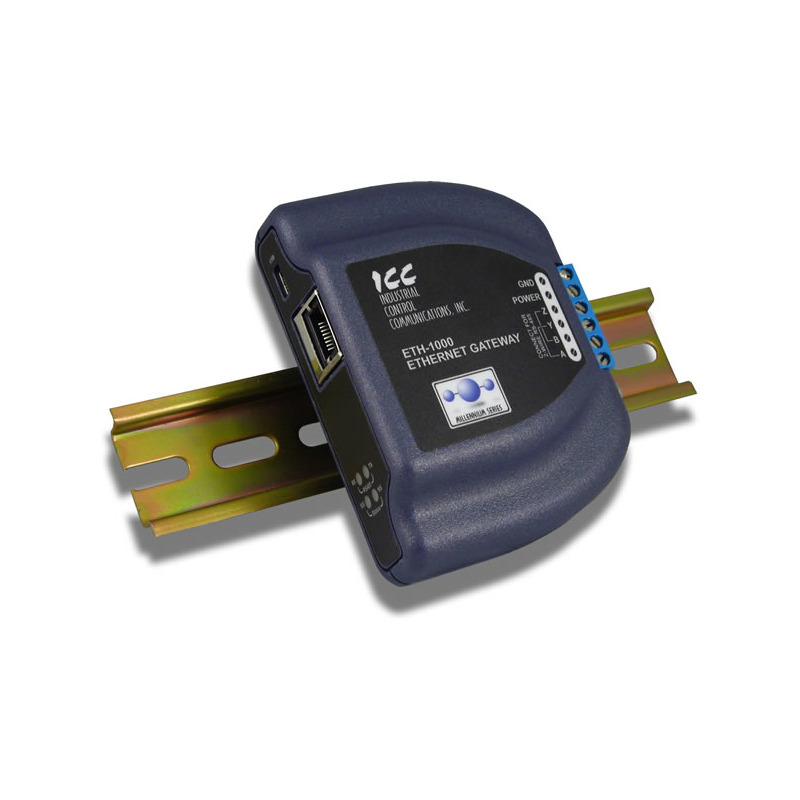 All Ethernet and RS-485 fieldbus protocols are included free of charge. 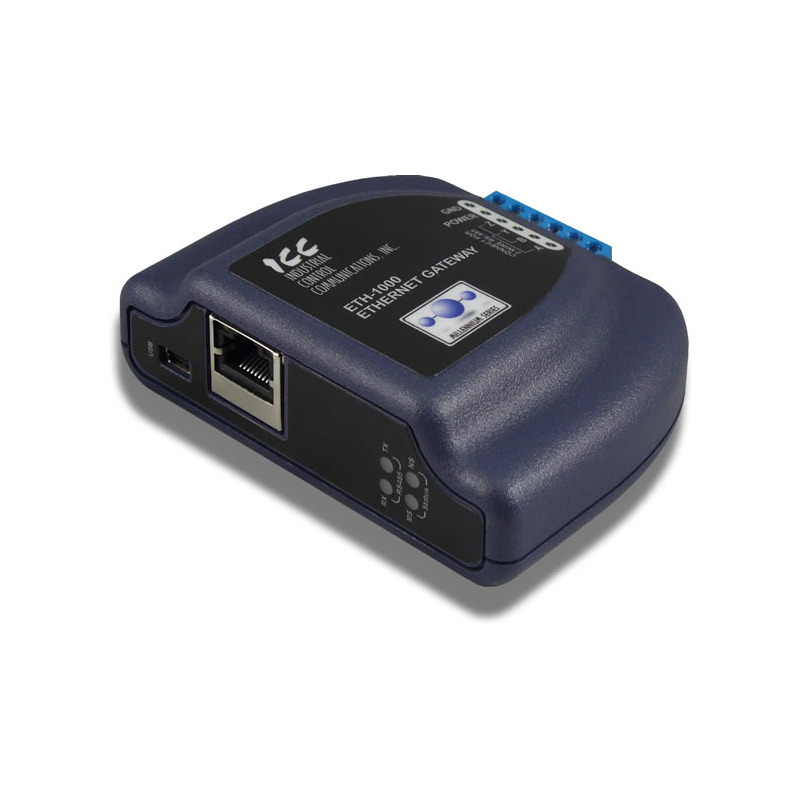 Configuration is performed using the ICC Configuration Studio software via a USB connection. 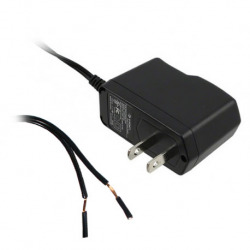 In addition to updating the gateway's configuration and firmware, the USB connection can also be used to monitor and command real-time data, diagnose communication issues, capture serial communication packets, or directly for network communications using any of the supported RS-485 protocols over a USB virtual COM port. The ETH-1000 supports an embedded web server which provides remote monitoring as well as a dashboard composed of a variety of gauges, meters and graphs that can be configured to provide an at-a-glance graphical overview of critical application variables in real-time. The gateway has up to twenty individually-configurable alarms, which can provide email notifications. PLC-style logical, arithmetic and filtering data manipulation operations, called Database Logic, can be configured to allow the execution of complex autonomous data conditioning and control functions. A configurable network timeout action can also be programmed to give each database address its own unique "fail-safe" condition in the event of a network interruption. 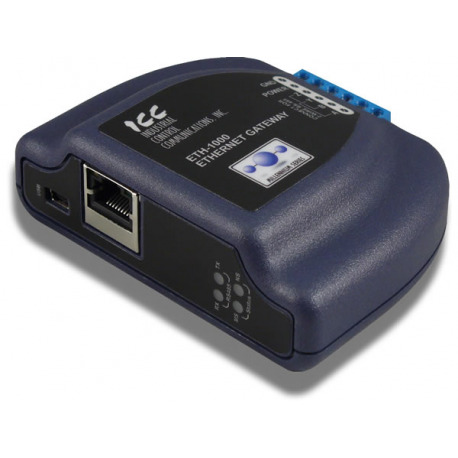 The gateway also supports versatile Generic Socket and Generic Serial communication drivers which allow integration with any Ethernet or serial device including proprietary and custom protocols using ASCII and/or binary encoding formats. 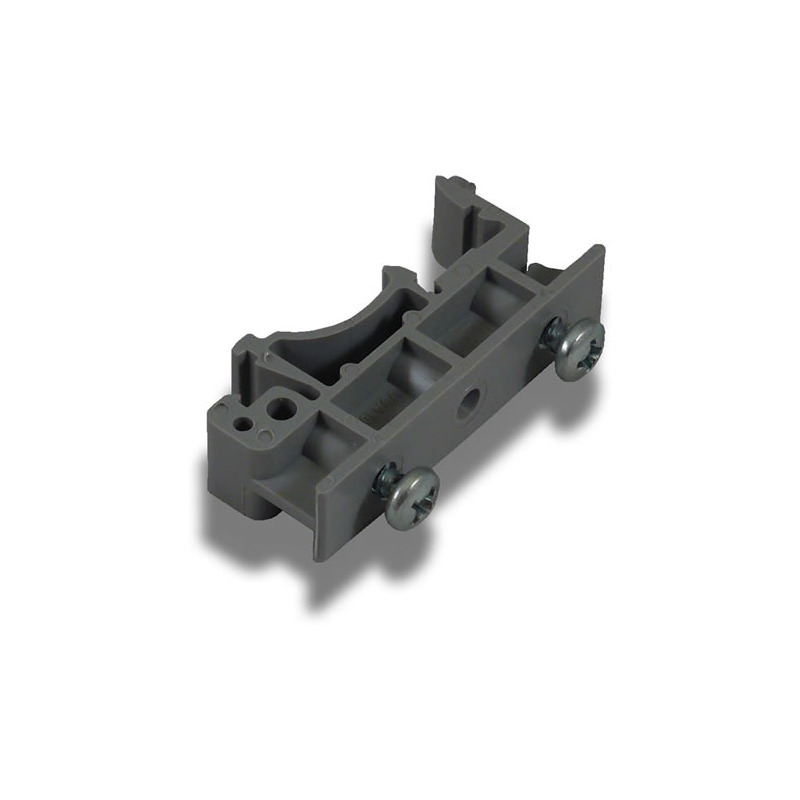 The ETH-1000 is a member of the ICC Millennium Gateway Series product family. 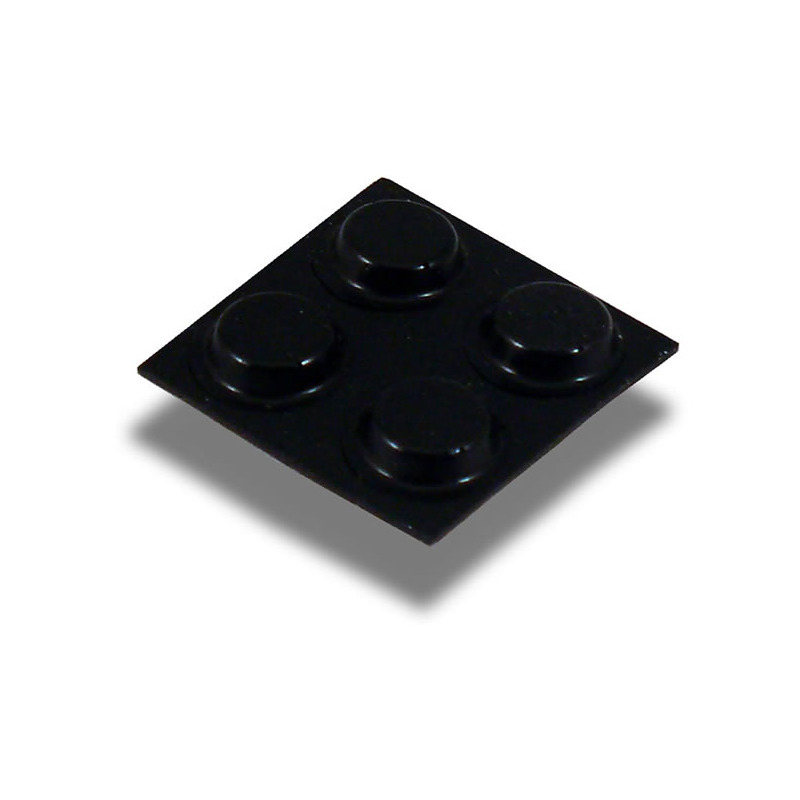 Members of this family are designed to provide a uniform interface, configuration and application experience. This commonality reduces the user's learning curve, reducing commissioning time while simplifying support. ANY combination of Ethernet to RS-485 protocol conversion is possible. ANY combination of Ethernet to Ethernet protocol conversion is possible. Only one Ethernet port is required because the Ethernet port supports multiple protocols simultaneously.